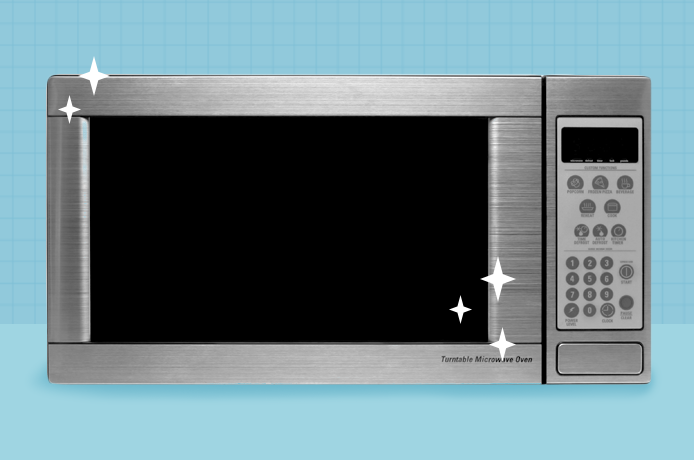 All it takes is one leftover spaghetti dinner to turn a sparkling clean microwave into a war zone. If you avoid cleaning this appliance because you think it requires more elbow grease than you can muster up, we have good news: These easy tips will help you tackle this on the regular. Clean the rubber gasket around the door with a sponge dampened with water and dipped in a little baking soda. Wipe with a damp cloth or sponge to rinse. If the window is greasy, clean with a mixture of half vinegar and half water, then dry. 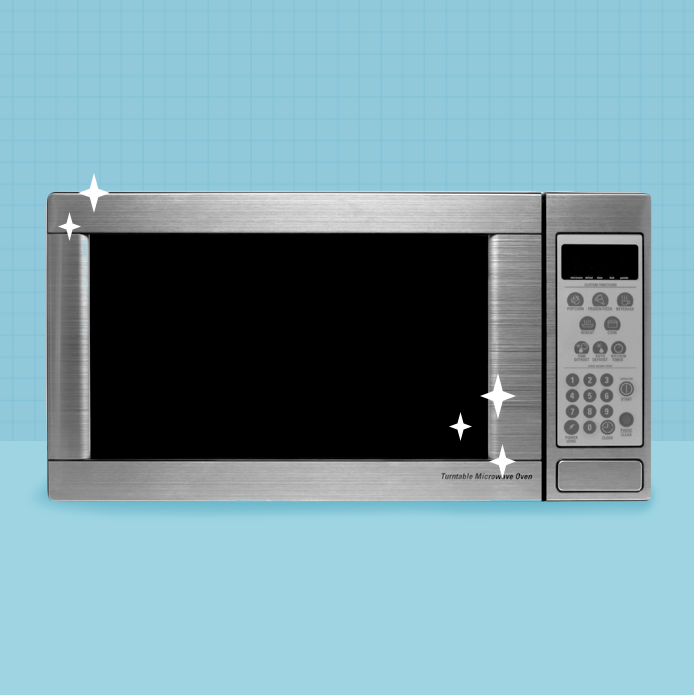 You can also wipe your microwave door down with a good all-purpose, grease-cutting cleaner. You can wash most removable pieces (like the turntable) in the dishwasher or a sink full of sudsy water. Just make sure you read your manufacturer’s manual beforehand.